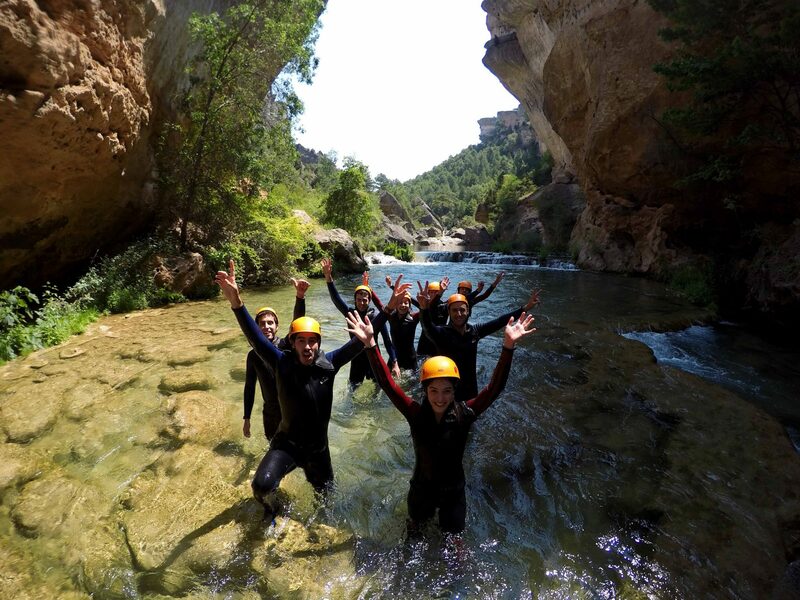 Canyoning in Madrid - The perfect Group Activity at less then an hour from the metropolis! 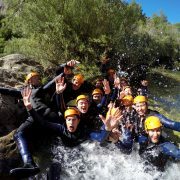 Feel alive with our Canyoning trip! 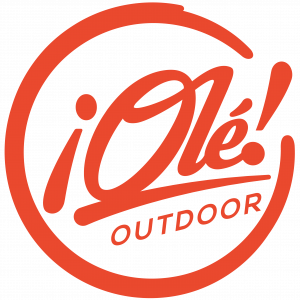 Are you a true outdoor junkie? 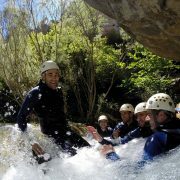 Then don’t miss our Canyoning trip! 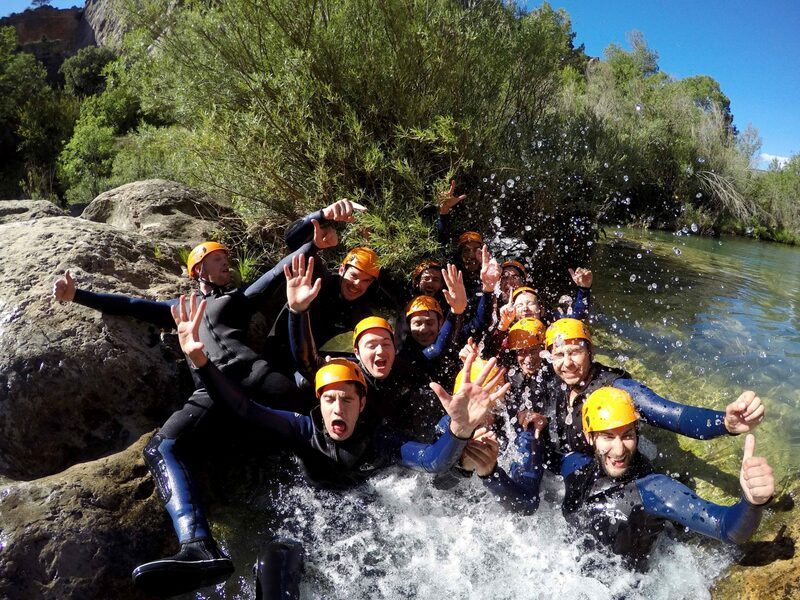 It’s a great experience away from the city with a lot of different outdoor aspects. 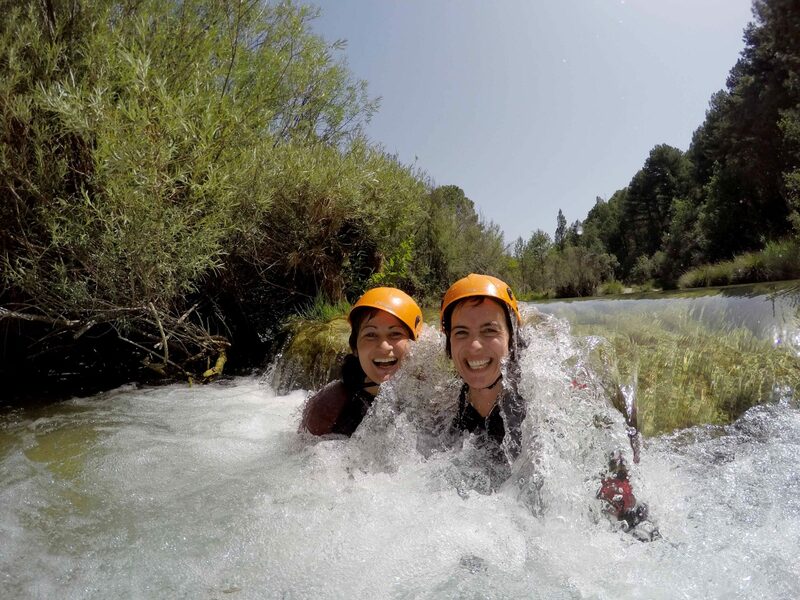 Go down the mountains and embrace the water. 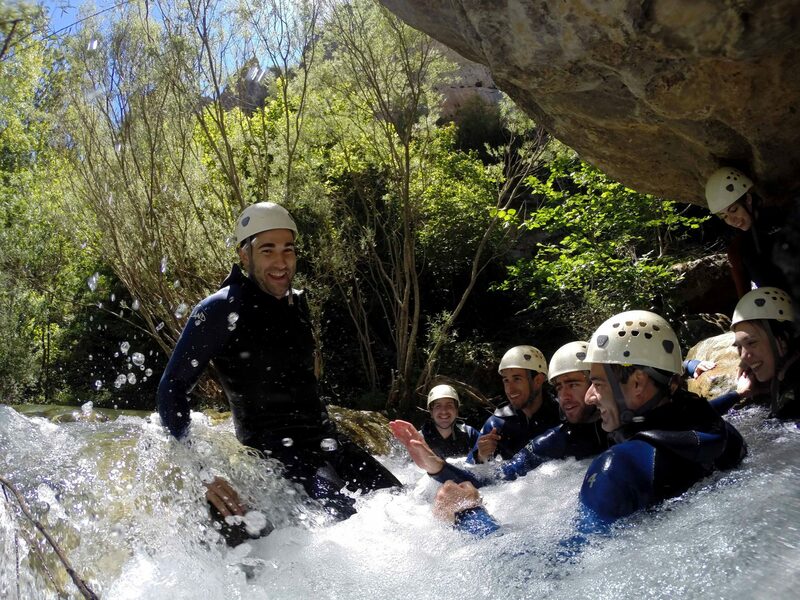 Canyoning in Madrid combines many different skills and is an amazing way to spend a day away from the city. 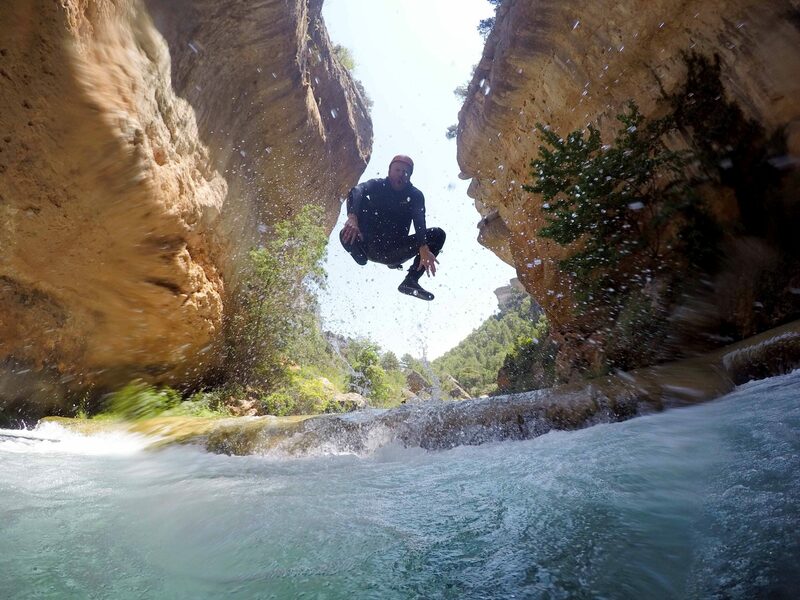 You will make your way through the canyon using different techniques amongst which scrambling, abseiling, jumping and swimming. 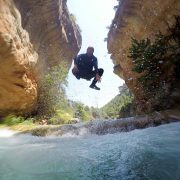 This all will be done under the surveillance of very experienced and licensed instructors. 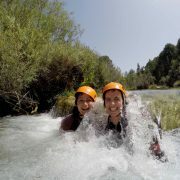 Canyoning in Madrid an experience you will not easily forget (in the best way possible of course). 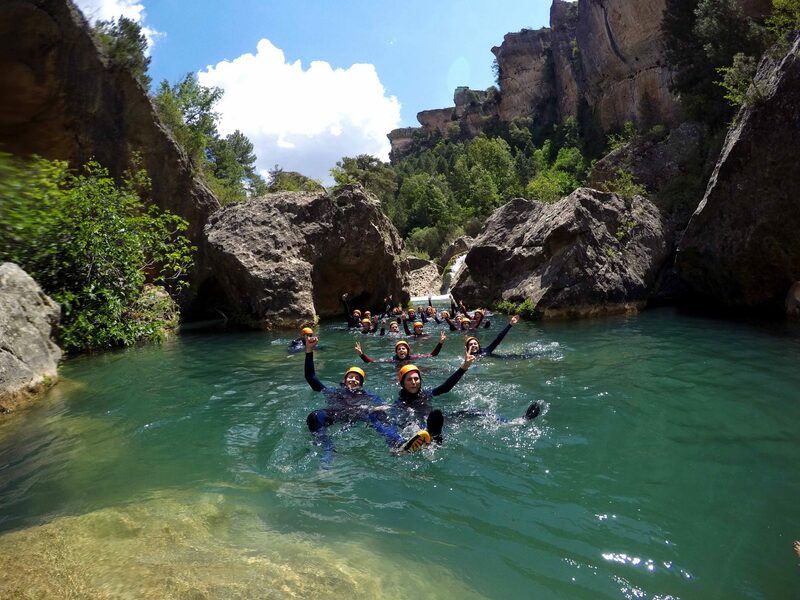 Once you have done canyoning you will be hooked! 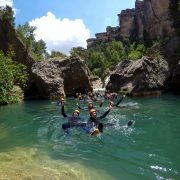 The canyoning route will take up 3 to 4 hours after which you will make your way back to Madrid. 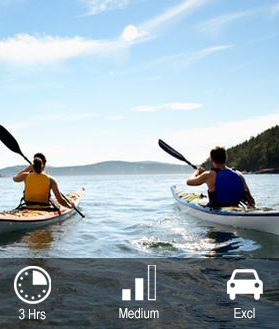 It is possible to add a lunch or drinks before driving back or when arriving in the city. 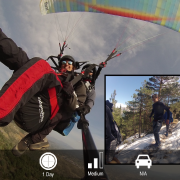 We now include transport in all our package’s. 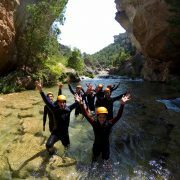 If cancellation is done by us (because of weather or other circumstances) we ALWAYS refund the entire deposit., If cancellation is done more than 48 hours in advance, payment is fully refunded. 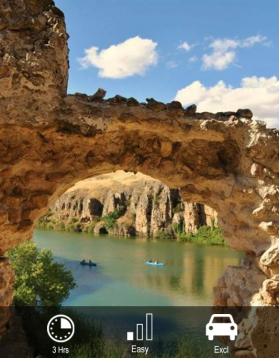 Yes please!, No, thank you. I prefer the weekend.